What the woman known as Grandma Gatewood accomplished in 1955 was remarkable. So is the untold story of what she overcame before that. 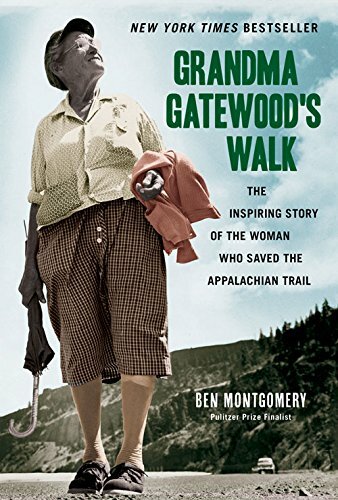 I happen to be reading a book about her called Grandma Gatewood’s Walk. I’ve been nursing this book, not just because I’m a slow reader but because Emma gives me strength. I don’t want Emma to go away. 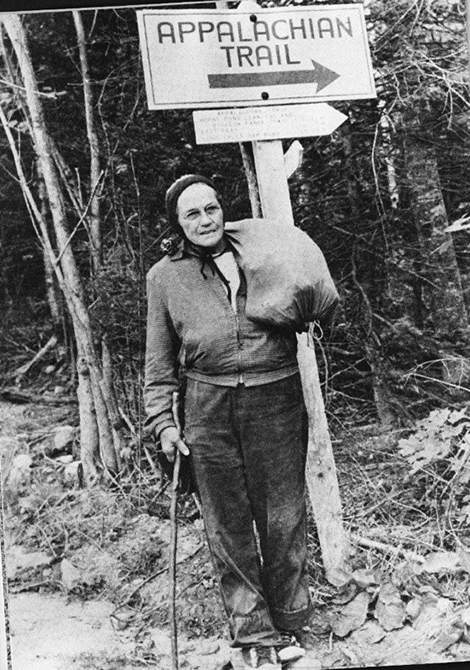 In 1955, Emma Gatewood, a mother of 11 children, hiked the entire 2,168-mile Appalachian Trail by herself, in one season, when she was 67 years old. She did not carry a tent or a sleeping bag. She wore inexpensive canvas shoes (Keds) and dungarees. She carried a small drawstring sack that she sewed herself. She ate dried fruit, peanuts, Vienna sausages, bullion cubes, and plants she foraged along the way. Walking must not have come easy – her feet, knees, and hands were gnarled with arthritis. Those descriptions, though, tell only part of her story. It wasn’t just 30 years of beatings and sexual abuse she endured; it was her slave-like existence during her marriage: doing only what men told her to do, being constantly watched and criticized, bearing and raising 11 children alone while farming tobacco for income (pregnant in the field). Emma was born in 1887 and married in 1906, so it’s likely the rural Ohio farm where she lived with her husband did not have electricity and perhaps not running water. (She did not have these growing up either.) Can you imagine this life? Just one chore – doing laundry for a dozen people without electricity or running water – could take the larger part of a day. Yet she also cooked, cleaned, bathed and breastfed infants, sewed clothes, built fences, poured concrete, raised livestock, planted, weeded, and harvested crops. That was her life. In reply to a reporter’s question about why she walked, Emma said, “For the heck of it.” At first I thought she was dismissing the question on purpose. I now think that she answered clearly and truthfully. When you do things for the heck of it, you are free. This entry was posted in Uncategorized on June 30, 2018 by Bix.